Many people accumulate assets for their later years in retirement accounts, such as an Individual Retirement Account (IRA) or an employer plan (401(k), 403(b), etc.) due to the fact that investment gains are not taxed while they remain in the account, and some or all of their contributions to the account are made before their income taxes are computed. Some people will leave their funds in these accounts even after they stop working, taking advantage of that tax-free accumulation. However, the government will eventually want its tax money that is also accumulating in those accounts, and that time is when the account holder reaches the age of 70-1/2. Starting with that calendar year, the account holder must start withdrawing money from their retirement accounts, at a rate determined by the IRS. This is known as a Required Minimum Distribution (RMD). Note that these rules do not apply to a Roth IRA. A Roth IRA is not subject to RMDs. Well, except when they are. For example, the beneficiary of a Roth IRA will have to take required distributions when they inherit the account. If you have a Roth 401(k), you will need to take a required distribution, as it follows the rules for 401(k) plans instead of Roth IRA accounts. Also, these rules do not cover inherited employer accounts (what, you thought this was going to be easy?) which have their own set of rules for required distributions. You may also want to read our blog entry on the bankruptcy status of inherited retirement accounts as determined by the U. S. Supreme Court. Getting this right, every year, is important because the IRS imposes a 50% penalty on the difference between the amount you withdrew and the amount you were required to withdraw. The factor is different each year, and depends on your age as of December 31st of that year, and how much longer the IRS expects you to live. Also, the table used to look up this factor is different if the spouse of the account holder is the sole beneficiary of the account and is more than 10 years younger than the account holder. Your Required Beginning Date (RBD) is April 1st of the year after the year you turn 70-1/2. Therefore, your first RMD can actually be withdrawn up to 3 months late (by April 1 of the following year — note that this is different from other next-year deadlines which are usually April 15th). However, keep in mind that if you take advantage of this delay, you'll need to take a second RMD in that year to satisfy the requirement for that year (the one you took by April 1st was for the prior year). Also, be sure to use the correct account balance and RMD factor for each distribution in that first year — the one you take before April 1st is based upon the account value on December 31st of two years ago and your age as of December 31st of last year, the second distribution is based upon the account value on the previous December 31st and age at the end of this year. Also note that this 3-month extension is only available for your first RMD. You can combine RMDs from several accounts and withdraw the total from only one — but the accounts that can be combined are subject to a host of other restrictions that are easily misinterpreted. For an example of this, see our blog entry on this topic. For certain employer accounts, if you are still working beyond age 70-1/2, no RMD from the employer account is necessary — but make sure the account you think qualifies for this exception actually does. For example, if you and/or your immediate family own a total of more than 5% of the company, the still working exception does not apply. It also does not apply to company plans from prior employers; in other words, it only applies to the plan of the employer for whom you are still working. The exception also does not apply to SEP IRAs and SIMPLE IRAs, even if you are still working for the employer who sponsors the plan. If you continue to work past age 70-1/2, your Required Beginning Date then becomes April 1st of the year following your retirement. This means that in the unfortunate instance that someone passes away while working past age 70-1/2, they never reach their RBD and therefore an RMD is not due from the account before it can be passed to the beneficiary. Under normal circumstances, if the account owner passes away after their RBD, then the RMD must be taken from the account before it is rolled over (by the spouse) or inherited by the beneficiary. If you want to take advantage of a Roth IRA conversion or IRA rollover after you reach 70-1/2, you must first take your RMD for that year — RMDs are not eligible for conversion or rollovers. Also, the first money out of a retirement account subject to an RMD in a year is considered an RMD distribution, so your entire RMD for that year must be withdrawn before executing the conversion or rollover. While your account custodian is required to calculate or offer to calculate your RMD for you, they are not actually required to calculate it correctly. While the account balance on which the RMD is calculated is that on December 31st of the prior year, there are a couple of reasons why that balance might have to be adjusted. For example, if a Roth IRA conversion was done prior to December 31st, but the conversion is then recharacterized — undone — the following year (NOTE: The Tax Cuts and Jobs Act of 2017 removed the ability to recharacterize a Roth conversion that is made after January 1, 2018 unless the recharacterization is made to remove excess contributions in that year). Also, if a rollover is started before December 31st, but the funds do not get deposited in the target account until after that date (e.g. a 60-day rollover), those rolled-over funds must still be included in the RMD calculation for that year. The balance held in a Qualified Longevity Annuity Contract (QLAC) is not subject to an RMD, but there are restrictions on how much can be transferred to the QLAC when it is established (the lesser of $125,000 or 25% of your applicable retirement account balance), and the contract provisions of the QLAC itself (income payment cannot start until age 85). There are special rules for determining the end of the prior year balance for IRA funds held in a deferred annuity. 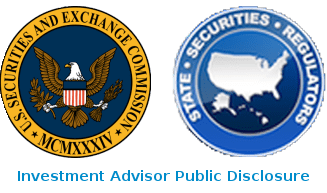 The annuity company must compute and report to the IRS (and, hopefully, the account owner) the fair market value of the annuity as of December 31st, and that value might not be the same as the value of the funds in the account, due to the imputed value of various contract riders. Not surprisingly, treatment of an annuitized IRA annuity is different, and also depends upon the annuitization period. Believe or not, even the IRS isn't sure how to handle this, so you're pretty much on your own, subject to the interpretation of the IRS, the company holding the annuity, and/or your tax professional. Good luck with that. Qualified Charitable Distribuions can satisfy an RMD, with the added bonus of the distribution not being taxable income to the account holder (however, the account holder gives up the tax deduction for the charitable contribution, so some tax planning is required to effectively use this option). 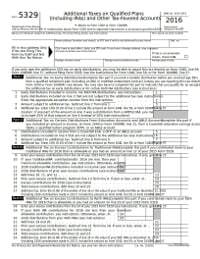 If you miss an RMD, you can sometimes get the IRS to waive the 50% penalty by filing IRS Form 5329 and 1) admitting your mistake, 2) apologizing, and 3) promising not to do it again (don't laugh, this sage advice comes from one of the country's top retirement accounting firms, Ed Slott and Company). There are two competing strategies to taking your RMD; 1) taking it early in the year, so that in the possible turmoil of other end-of-year activities, it is not forgotten, and 2) taking it at the end of the year, thus maximizing the tax deferral. Use the one that works best for your situation. If you have hard-to-value assets (non-publicly traded securities, real estate, and limited partnerships) in an IRA, then you need to be very proactive in getting them evaluated in order to correctly calculate your RMD. Unlike typical marketable securities, which can be valued automatically, hard-to-value assets must be evaluated manually, which can be a multi-step process involving the IRA custodian and the issuer of the security. This is even more complicated when a security of this type must be liquidated in order to withdraw the RMD. Actual procedures can vary, so if you own hard-to-value assets in a qualified account, be sure to understand the process long before you need to execute it. A distribution of basis (after-tax contributions), while not taxable, still counts towards satisfying the RMD for the account. First, you need to know that if there is basis in any of your IRA accounts, then the non-taxable portion of any withdrawal from any IRA account, regardless of whether or not the account itself has basis, is the total amount of basis divided by the total value of all IRA accounts. For example, if you have 2 IRA accounts, each of which has $50,000, one account has $10,000 in non-deductible contributions, and your total RMD for the year for both accounts is $5,000, then 10,000/100,000 or 10% of the $5,000 is not taxable, but the entire $5,000 counts as meeting your RMD for the year. If the accounts can be combined for RMD purposes, then you could withdraw the $5,000 from either account, even the one that has no basis, and still not pay taxes on $500 of the withdrawal. Distributions of company stock within a qualified account involving Net Unrealized Appreciation (NUA) can also complicate the calculation. NUA is the difference between what you paid for the stock (its basis) when it was added to the account, and its value at the time of distribution. If you take a distribution of $100,000 in company stock (the actual stock certificates, not the cash value), with a basis of $10,000, the $10,000 is taxable as income while the entire $100,000 can be counted towards the RMD. Income tax on the $90,000 in stock is deferred until the stock is sold, and is taxed at the capital gains rate. The RMD calculation can be modifed if it is greater than the vested amount of the account value; for example, if the RMD is $700, but the account owner only has $500 available for distribution because of a vesting schedule, then the $500 is withdrawn for the RMD and the next year's RMD is increased by $200. So, what should be a simple annual transaction can be fraught with peril. Be sure to contact your Stout Bowman financial advisor as you turn age 70 so that we can work with your tax professional to make sure you don't fall victim to one of these IRS traps. P.S. There is a way to use your RMD to avoid paying quarterly taxes to the Feds (or penalties and fees for underwithholding). Since an RMD withdrawal is credited as being made during the year, regardless of when it actually occurs, you could wait until the end of the year to withdraw your RMD, and have enough federal tax withheld to satisfy at least 90% of the tax for the current year or 100% of the tax shown on the return for the prior year, whichever is smaller (your entire tax liability, not just that due to the IRA withdrawal). Be sure to consult your tax professional if you want to employ this technique.